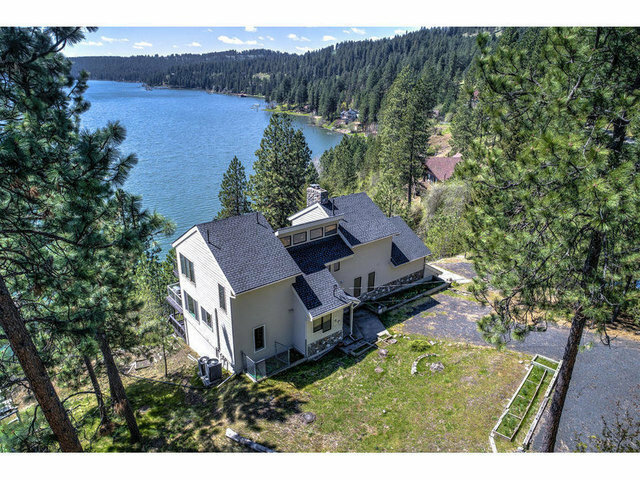 149' of luxury waterfront awaits you on the pebble shore of Lake Coeur d'Alene. The promise of a stiller life in this modern contemporary lake home only 25 minutes from the city has been tastefully renovated, offering the best of today's amenities and almost $300,000 in upgrades. The 4 bedroom, 3.5 bath 3,472 sq. ft. home gives you a welcoming Idaho State entry, ''clear'' cedar tongue-and-groove cathedral ceilings, maple floors, maple kitchen cabinets, main floor master on a .81 acre lot. Tram and vehicular access provides easy access to beach cabana, U-shape dock with boat lift and southwesterly sun exposure.